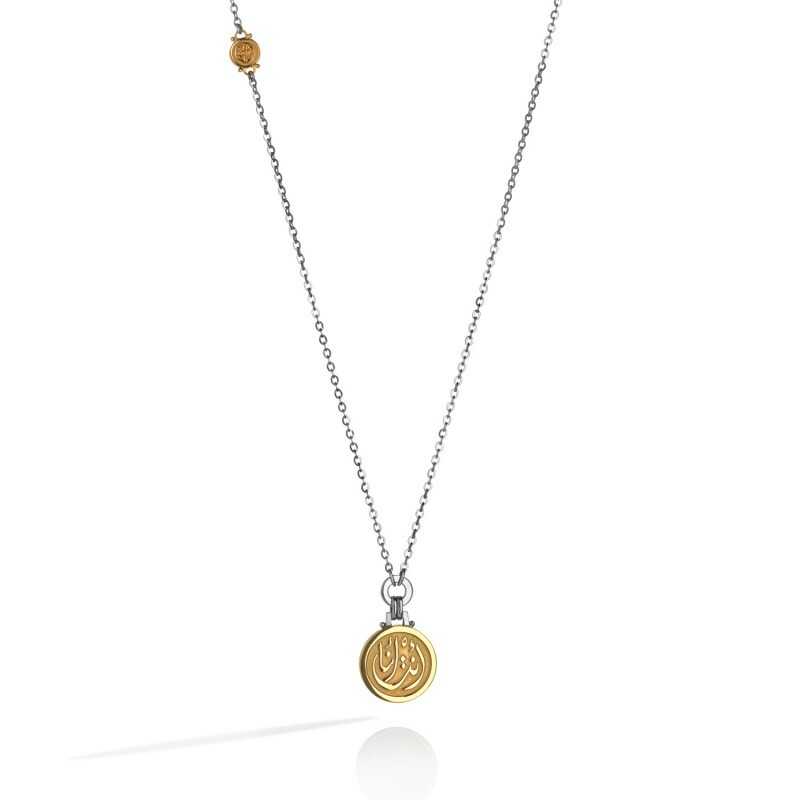 The Dainty Calligraphy Necklace for Her is a feminine Pendant Necklace in 18kt Gold and Sterling Silver, adorned with calligraphy. Calligraphy reads: انت انا (We are one). 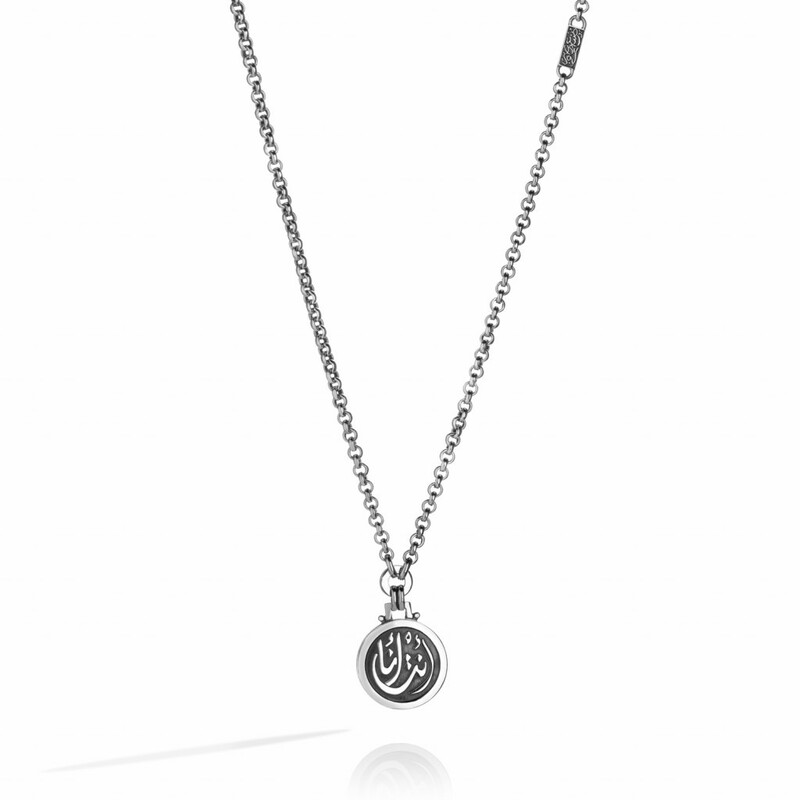 Buy individually or as a matching pair with the Dainty Calligraphy Necklace for Him by Azza Fahmy, also available at La Maison Couture.